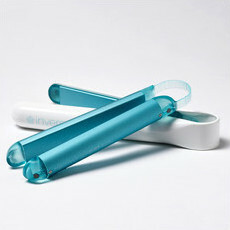 Heat styling causes damage and quick fixes aren’t enough. What if you could restore your damaged hair in a natural way? Well David Roe – an innovative Hair Stylist, founder of New Zealand company Roholm Ltd, has developed a revolutionary Inverse Hair Conditioning System that claims to do just that. This clever system harnesses the power of ice, enabling people with all hair types to improve the health of their hair with no chemicals and no heat. David first discovered the amazing benefits of ice as a conditioner after his wife rinsed her curly hair with ice-cold water, only to find surprising results; more definition and shine, soft and smooth to the touch and naturally falling curls. 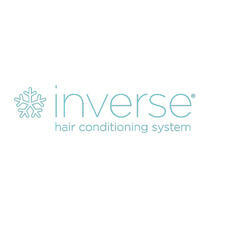 So after much scientific research into optimal temperatures to treat hair, Inverse was born. With patented Ice Core technology, this ground-breaking pioneering hair product locks moisture deep inside each strand, directly strengthens your hair for less breakage, nourishes it for a silky-smooth feel, gives you better definition and less fly-away and helps to restore your hair’s natural lustre.